Last week I was in Toronto for work, doing the things I do when I go off to travel for work. I’d been there in the summer, for less than a day, and had been frustrated that the Mill Street Brewery pub in the airport was in a different terminal than the one I flew out of, so I couldn’t get any root beer. This time I had many a evening free, but I was determined to get it my first night, just in case. 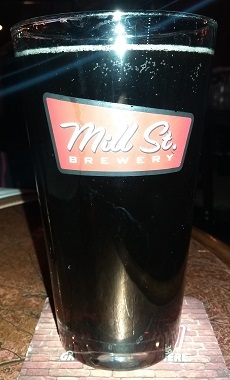 Though Mill Street Brewery has expanded to several locations, their original, in the Distillery District, is where I went. The whole district is in a 19th century whiskey distillery, and it all arts and crafty now, the sort of place you’d hope to find a craft brewery with their own root beer. The Body is nice and sweet and rich and creamy. Definitely my favorite flavor profile. The Bite is rather mild, however, and the Head is pretty dismal, though it is there, it’s short and gone by the time the glass reaches the table. The Aftertaste is a nice vanilla with hints of caramelized sugar. Yum, it’s tasty for sure, but doe lack some depth in the Bite and Head department. I think it’s the best root beer I’ve gotten in Canada. The best draft root beer I’ve gotten in Canada at least, though, now that I think about it, maybe the only draft root beer I’ve gotten in Canada so far. The food there was amazing. 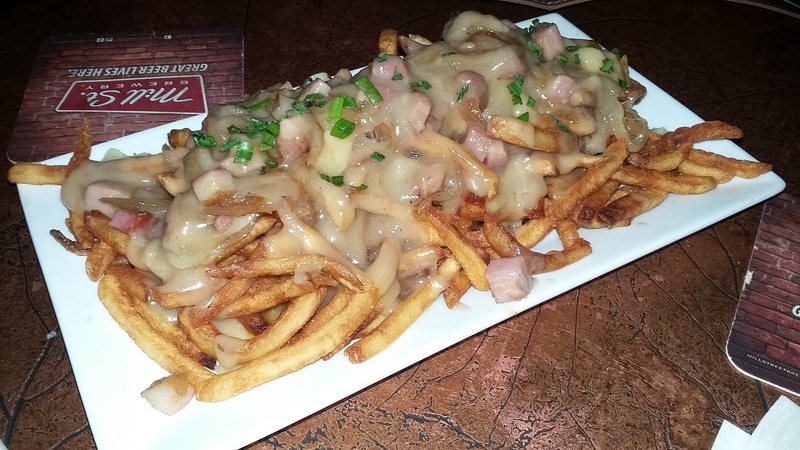 I didn’t get a picture of my burger, but I did for my double smoked poutine, with bacon and a root beer reduction, it was divine. This place is definitely worth a visit. 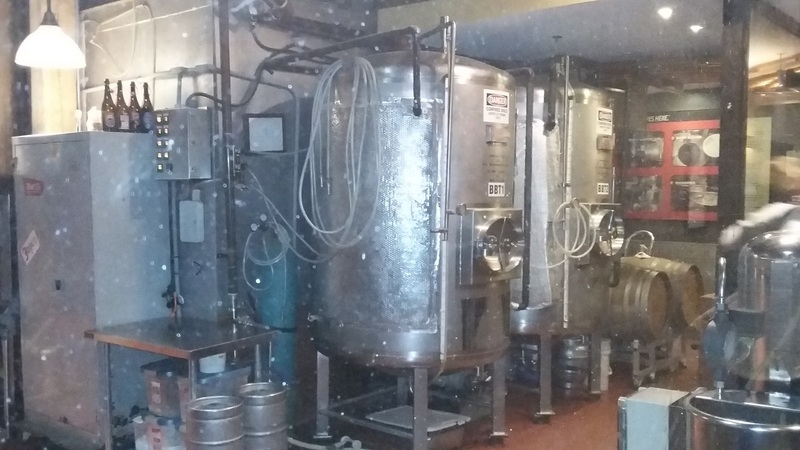 Some of the brewery vats. I always try to get a picture of these.